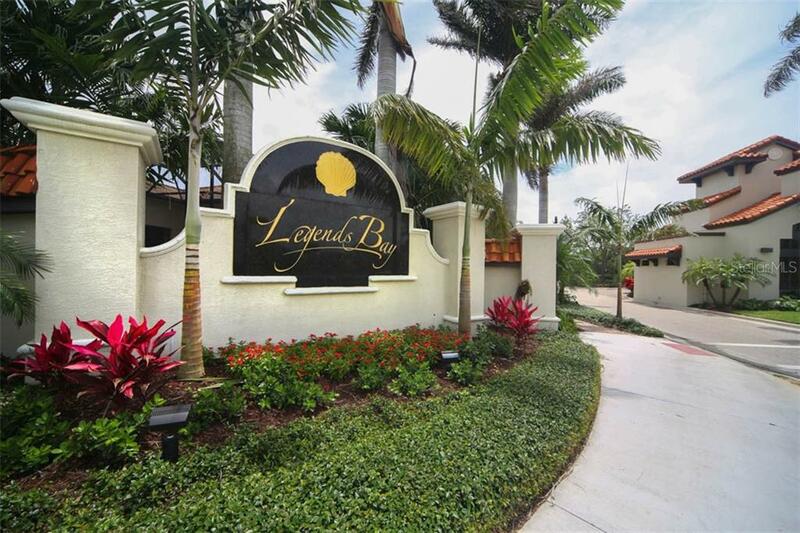 Ask a question about 6219 Legends Blvd, or schedule a tour. 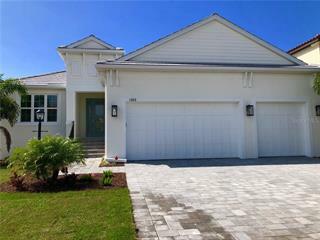 Beautifully built Arthur Rutenberg Homes masterpiece, with 3 Bedrooms in the Main area and separate Casita with 4th Bedroom suite. 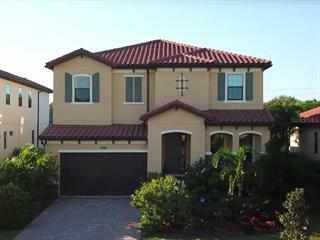 Main level of the home provides Master Bedroom suite, fantastic Home Study/Media room, spacious Dining... more. 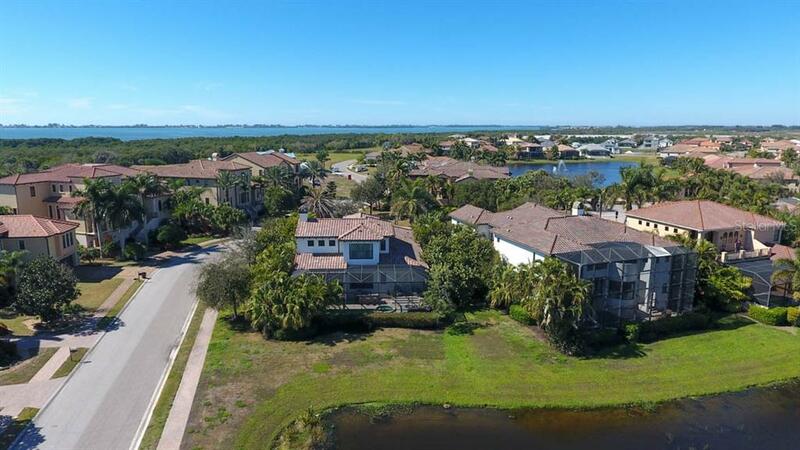 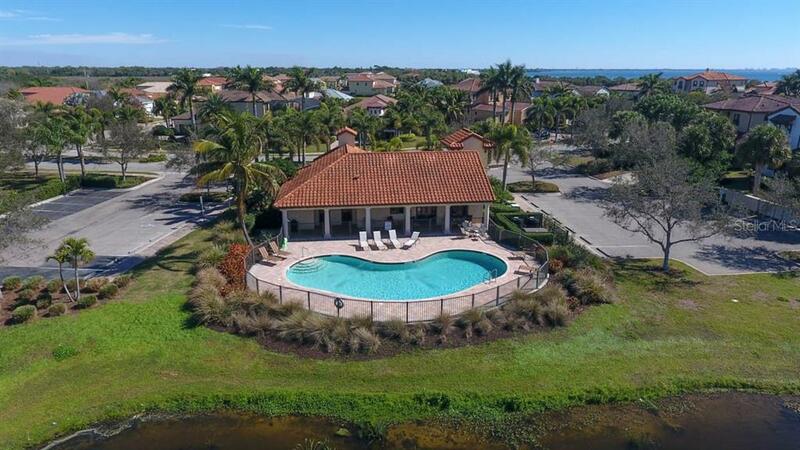 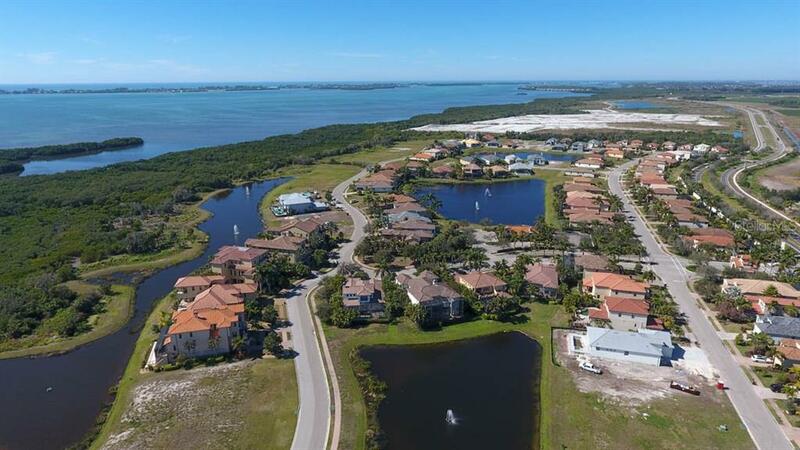 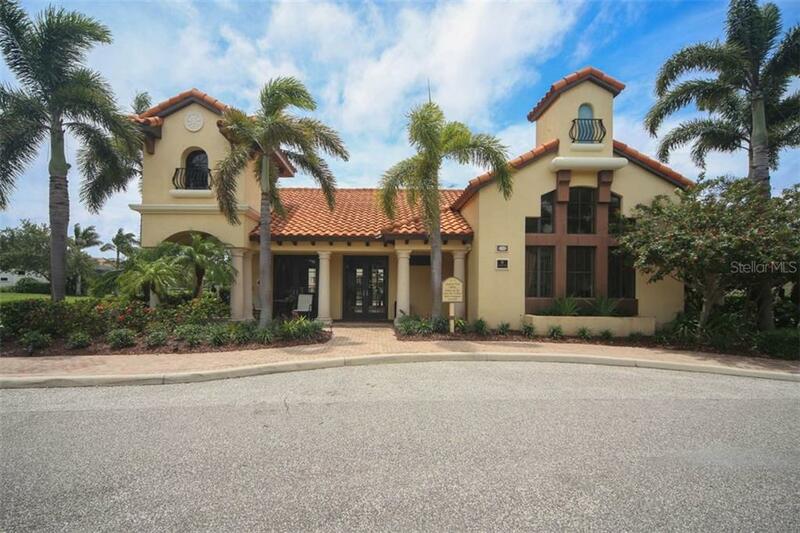 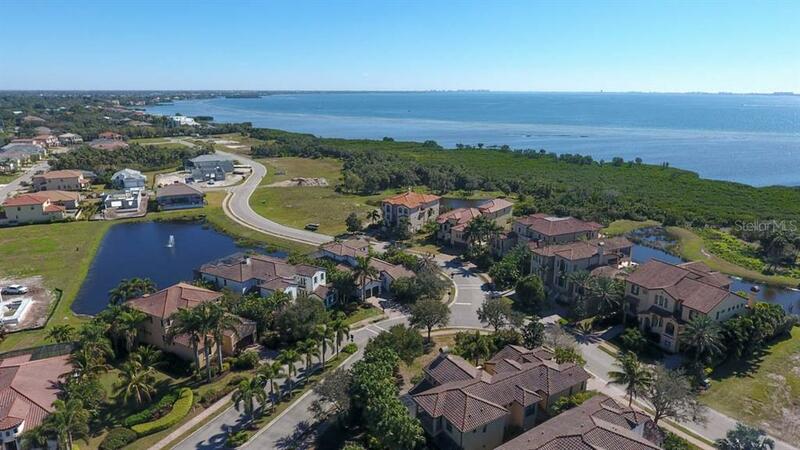 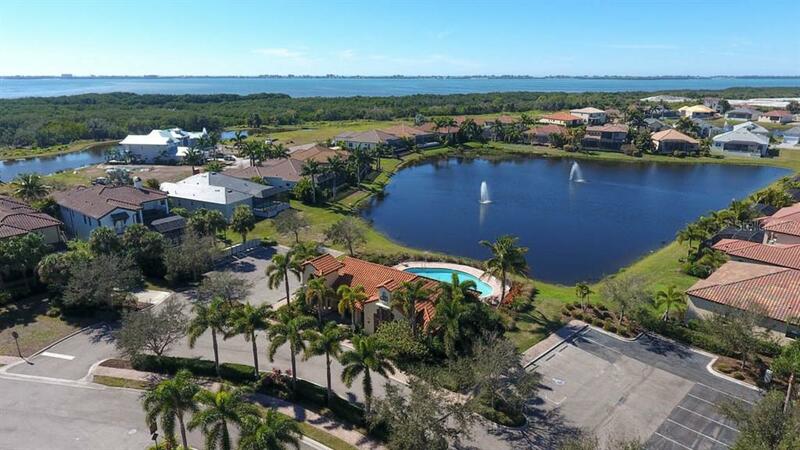 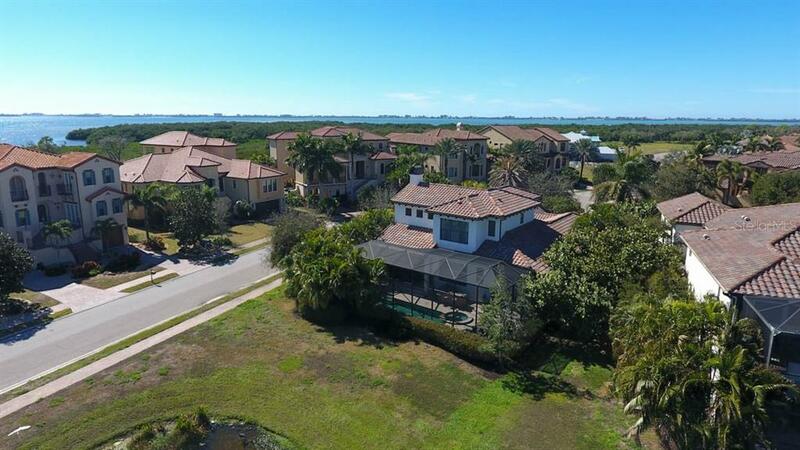 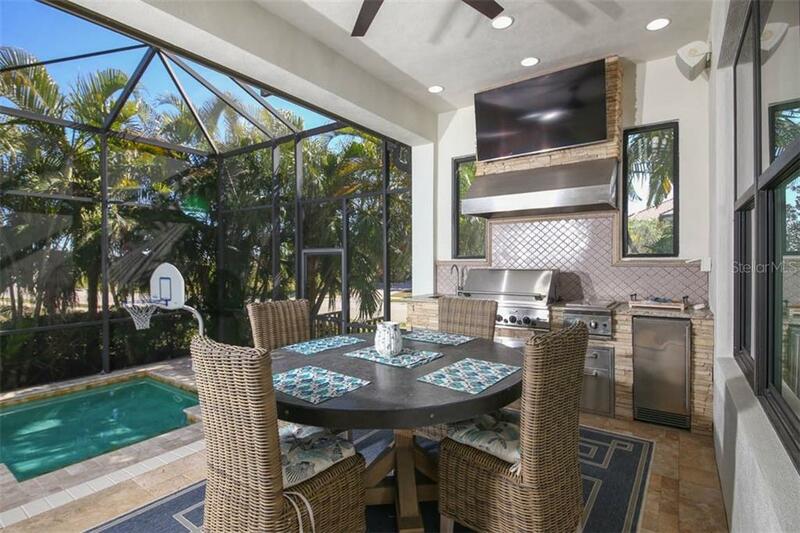 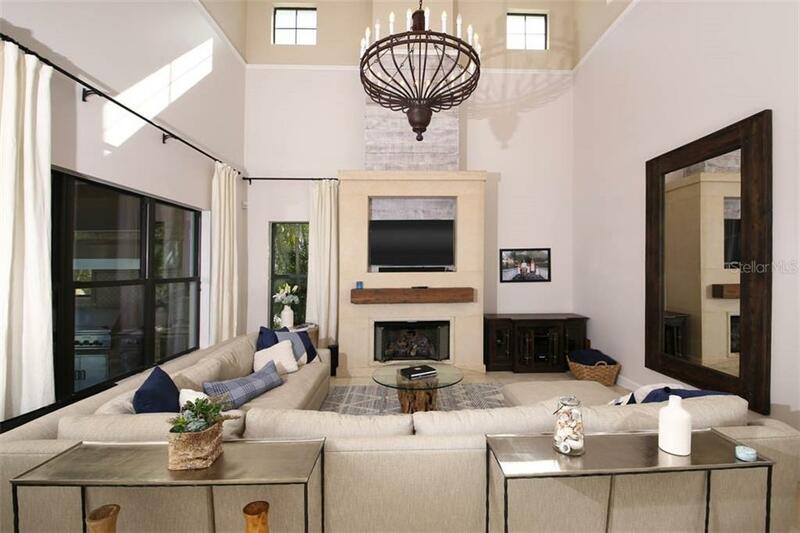 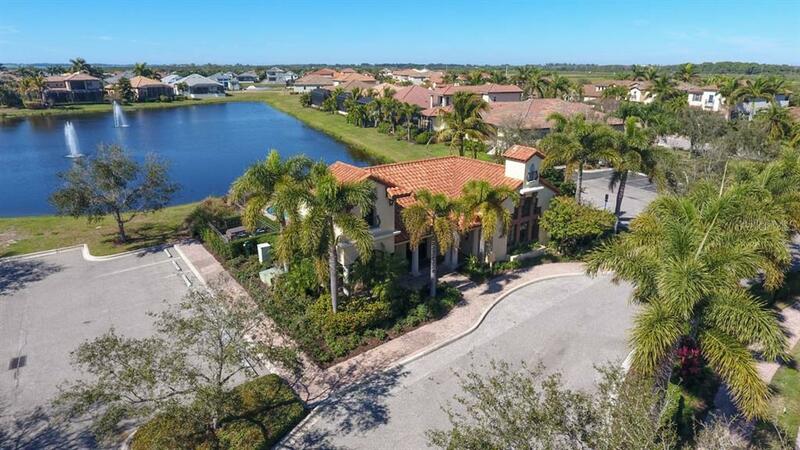 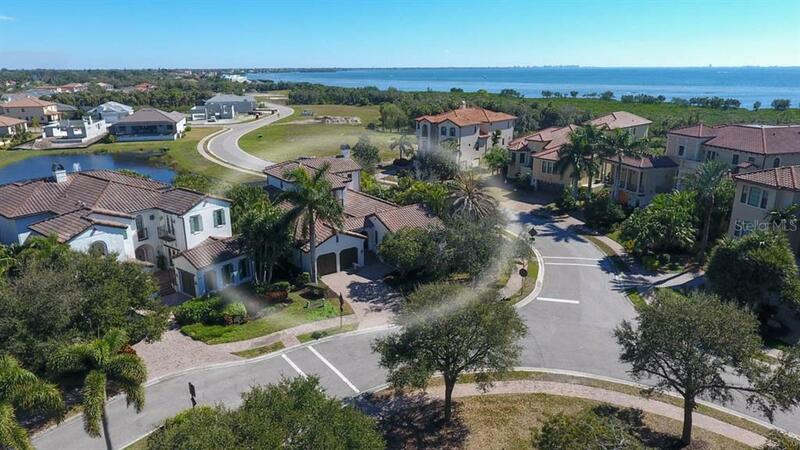 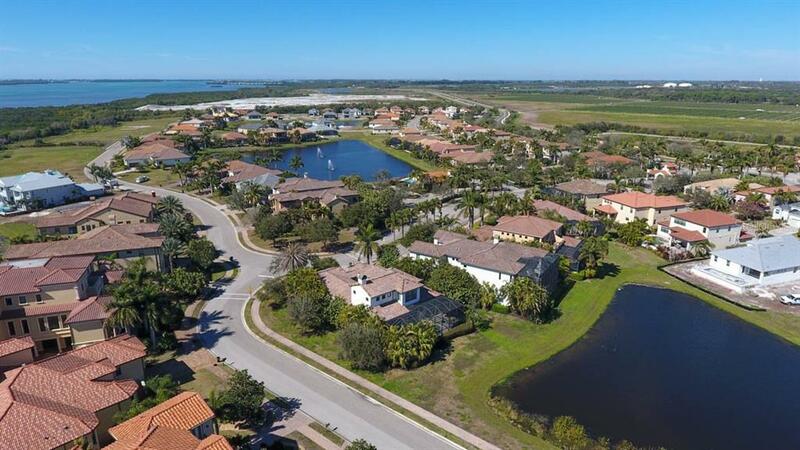 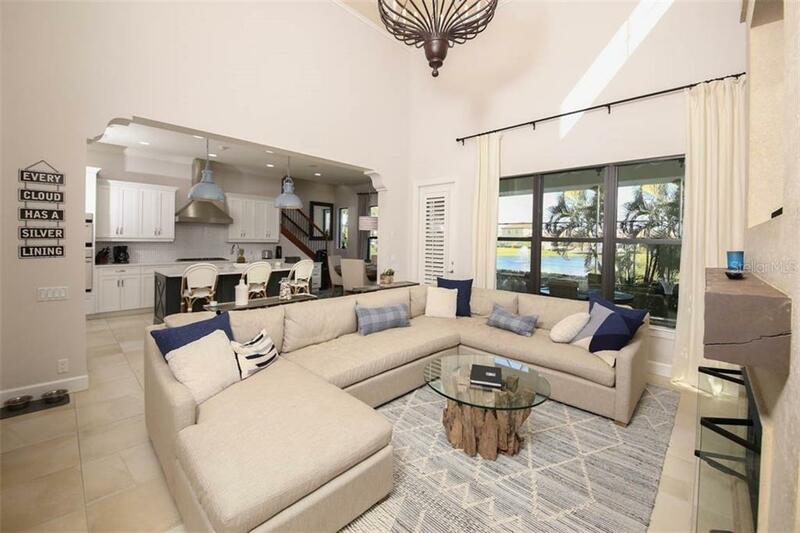 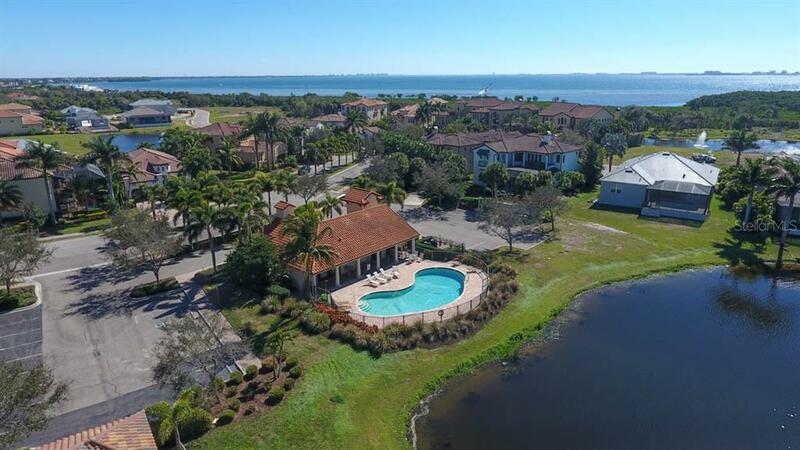 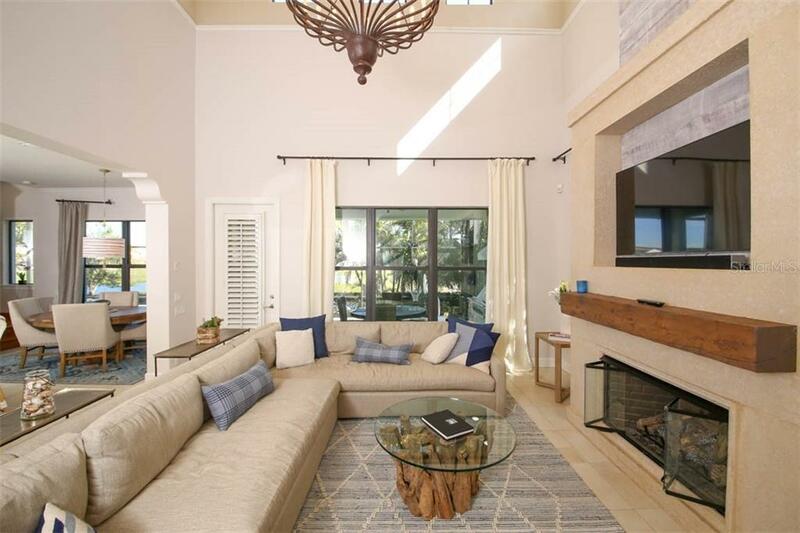 room, and Luxurious Kitchen open to a voluminous Family Room, leading out to covered Lanai and outdoor kitchen, heated pool and spa, overlooking a lake in Gated Legends Bay, a natural-gas, bayfront community with homes selling over $2M. 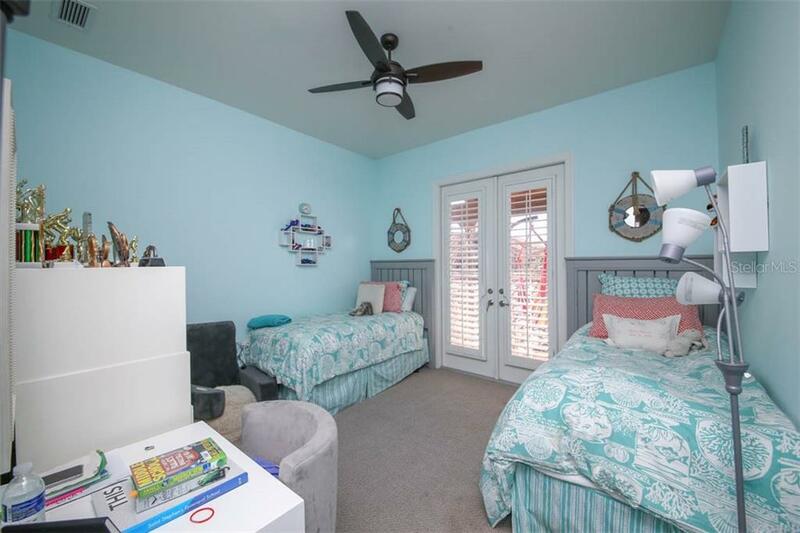 The second floor has two other Bedroom suites, with walking closets and ensuite bathrooms. 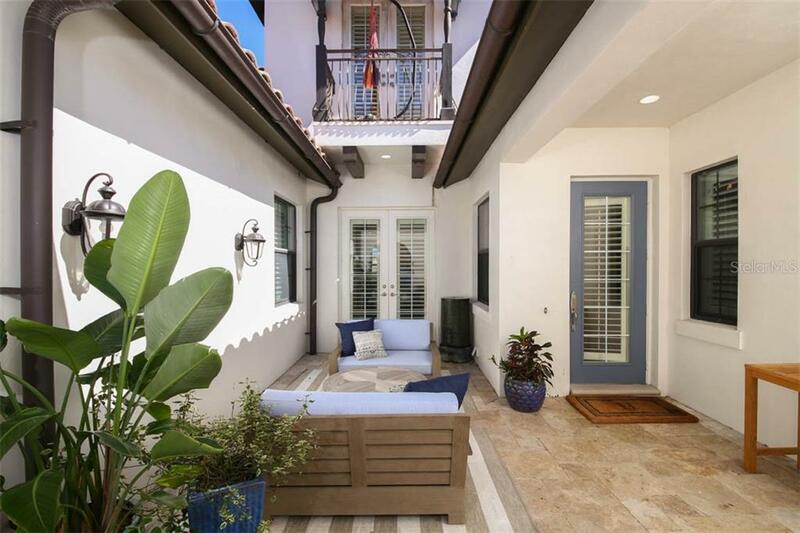 Behind the beautiful wood doors at the entrance, is a spacious front porch with travertine flooring and a courtyard feel. 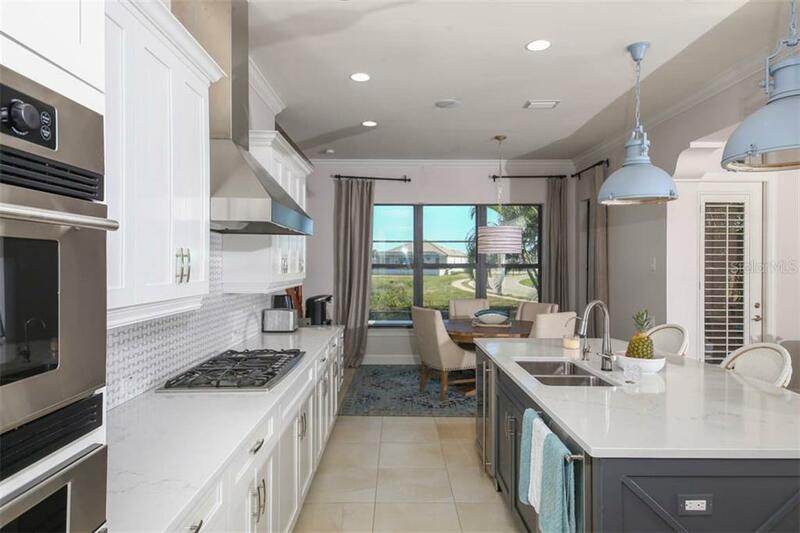 The Kitchen has plenty of eat-in space and large island, with Quartz tops, built in oven & microwave & cooktop, and stainless steel GE Monogram appliances. 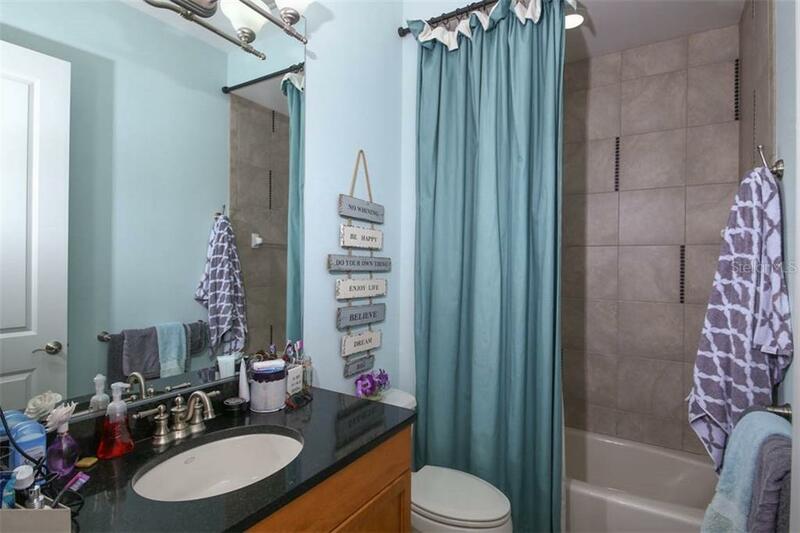 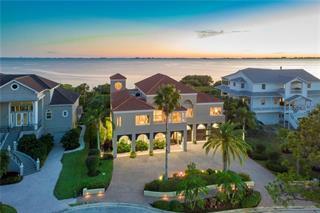 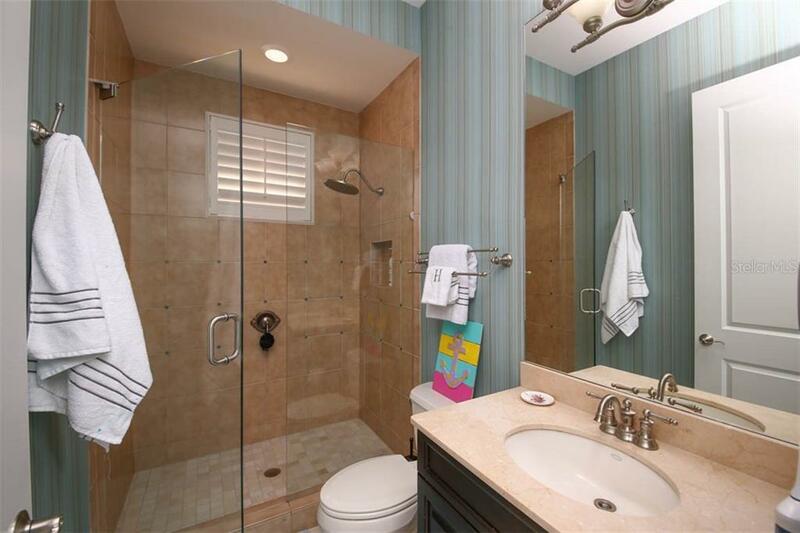 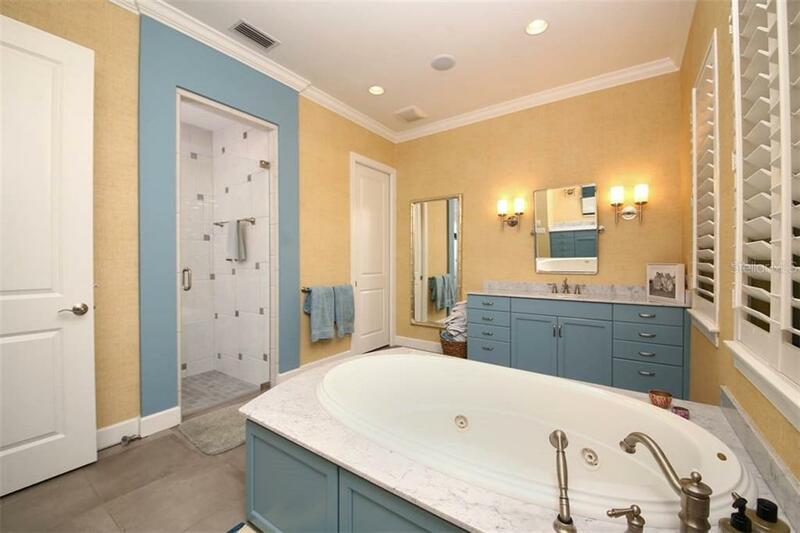 Master has two walk in closets, lake view, two large vanities with garden jacuzzi tub and rain shower walk in shower. 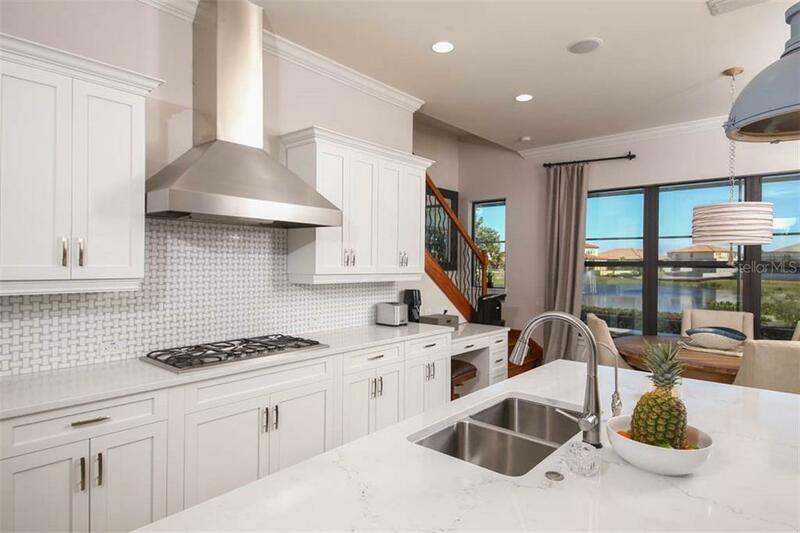 Lanai has several seating areas for entertaining, and handy conveniences like ice maker, grill, steamer, refrigerator, and sink. 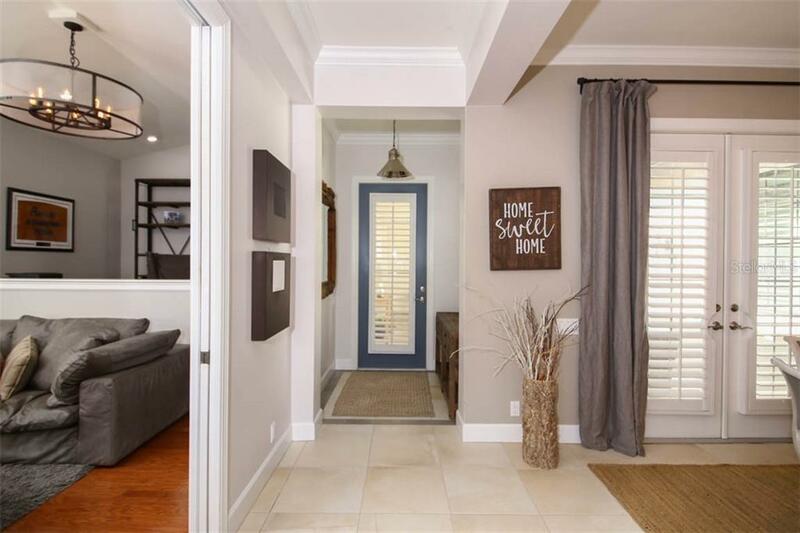 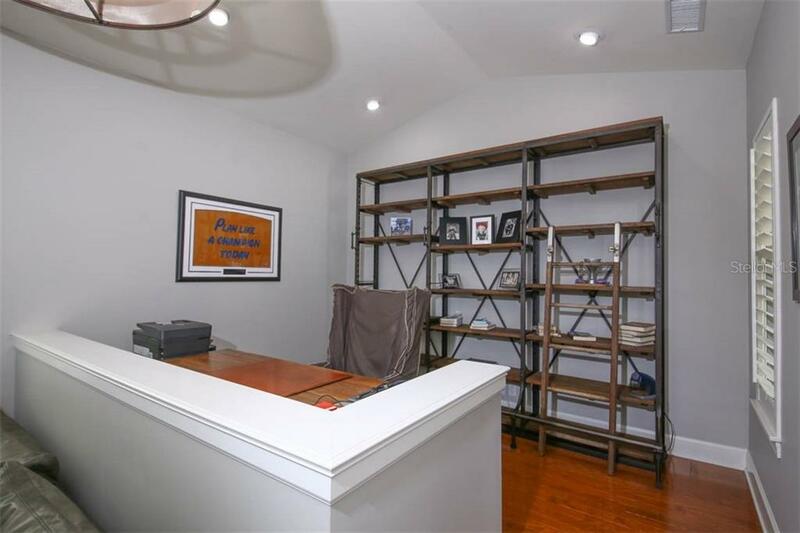 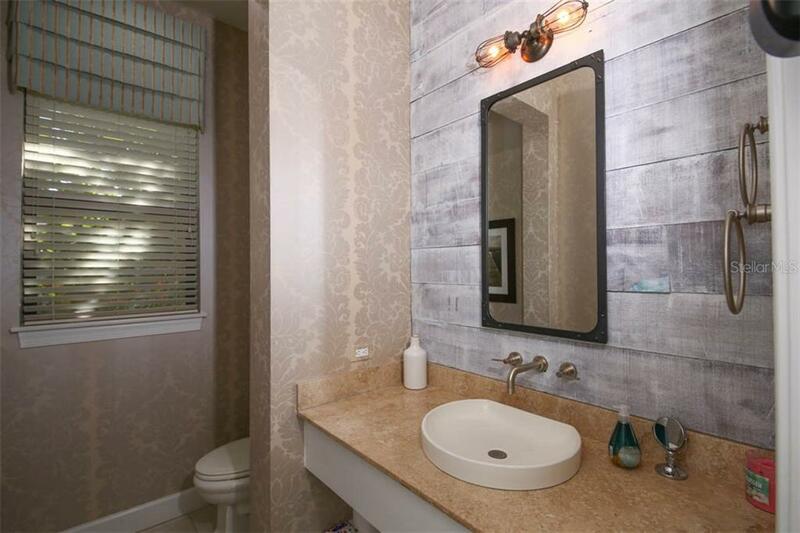 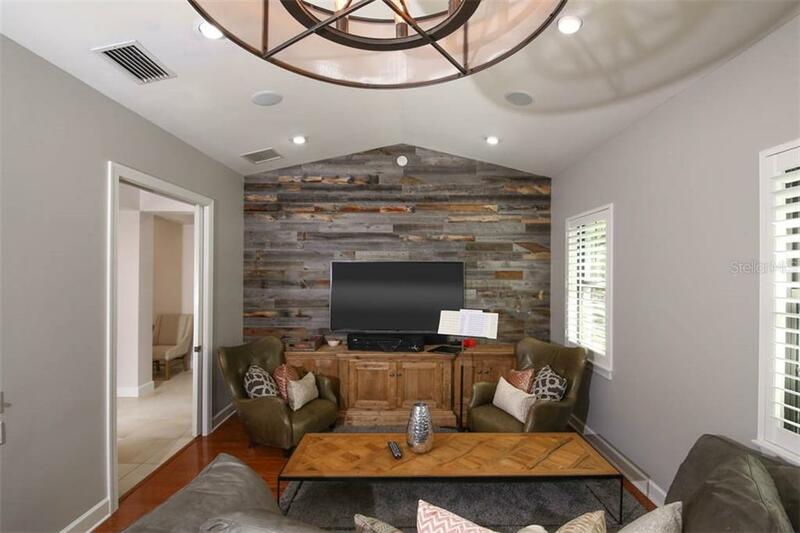 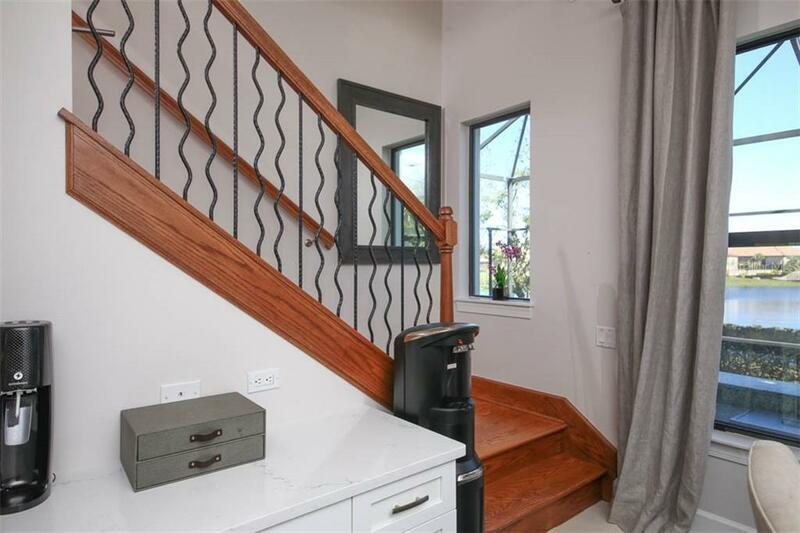 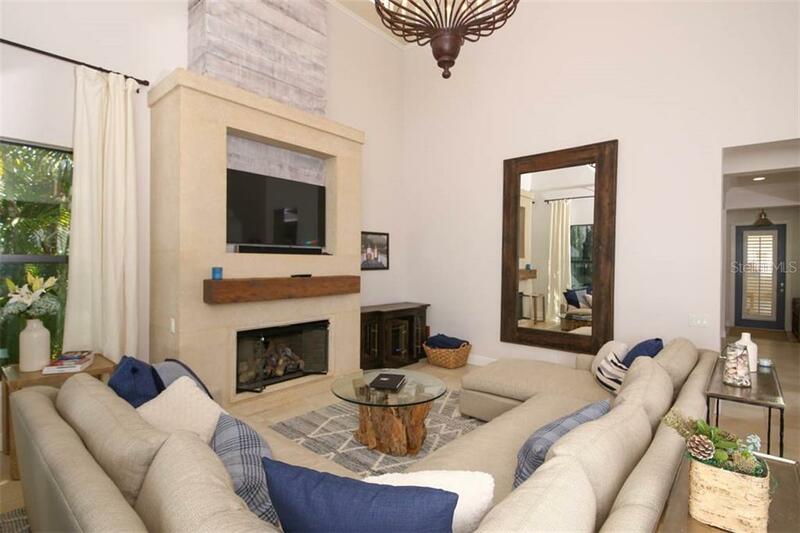 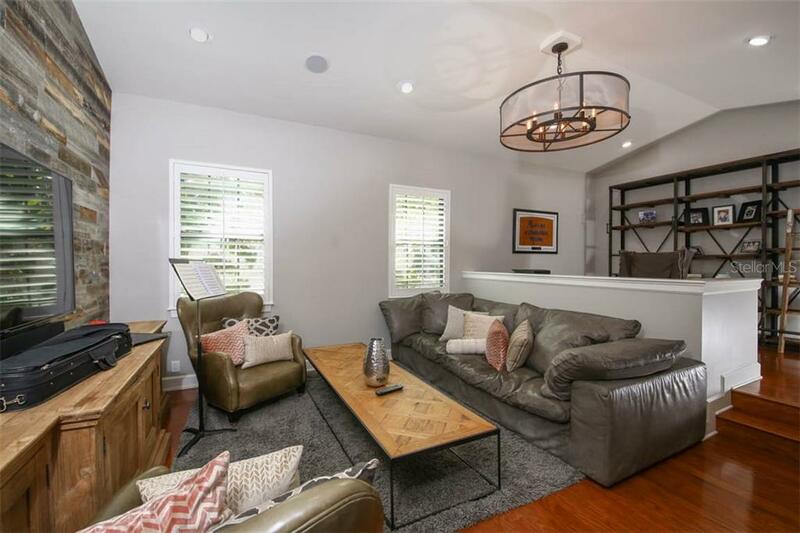 The home has custom shelving in bedroom closets, plantation shutters, updated light fixtures, gas fireplace with stone surround, wood wall accents, and vaulted ceilings and transoms windows offering abundance of natural light. 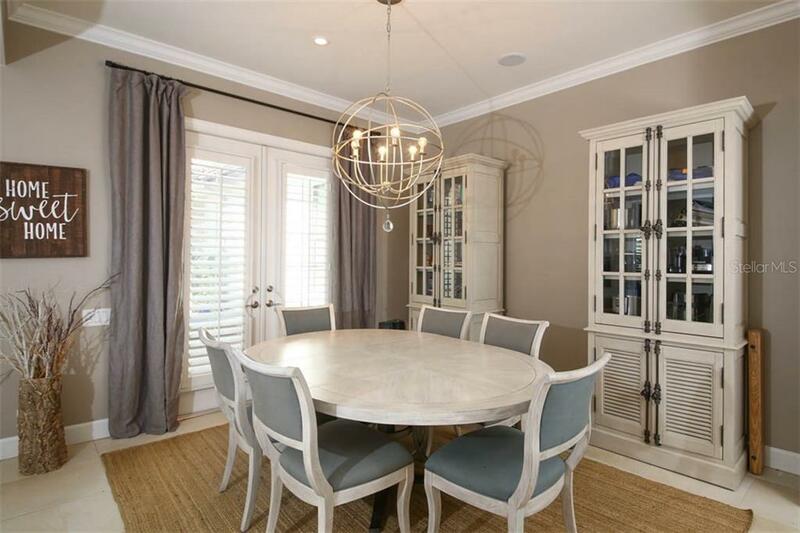 Beautiful Furniture negotiable on separate bill of sale. 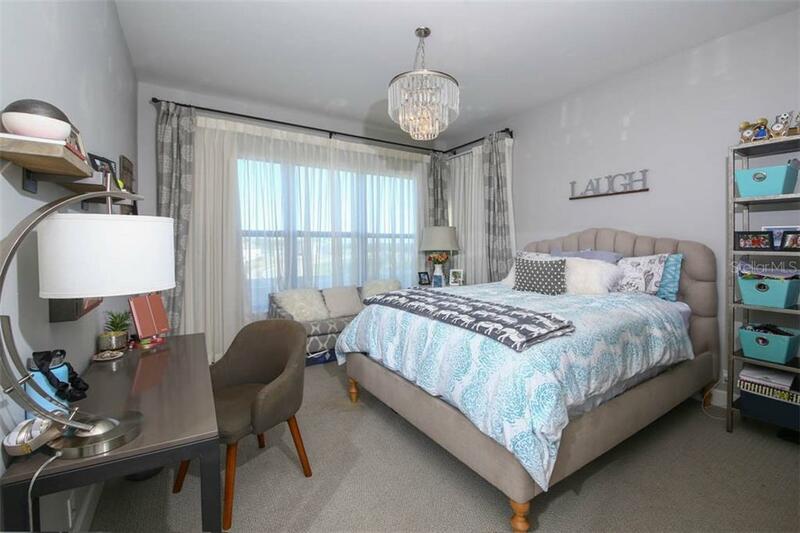 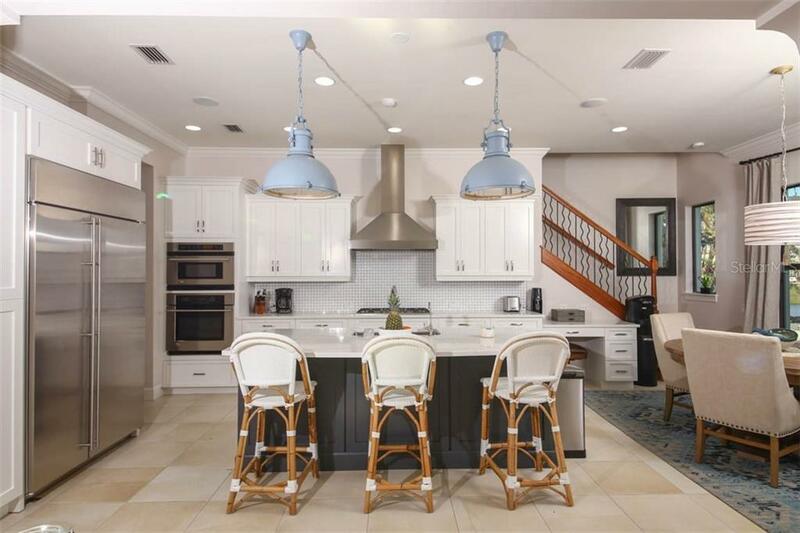 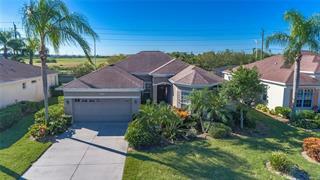 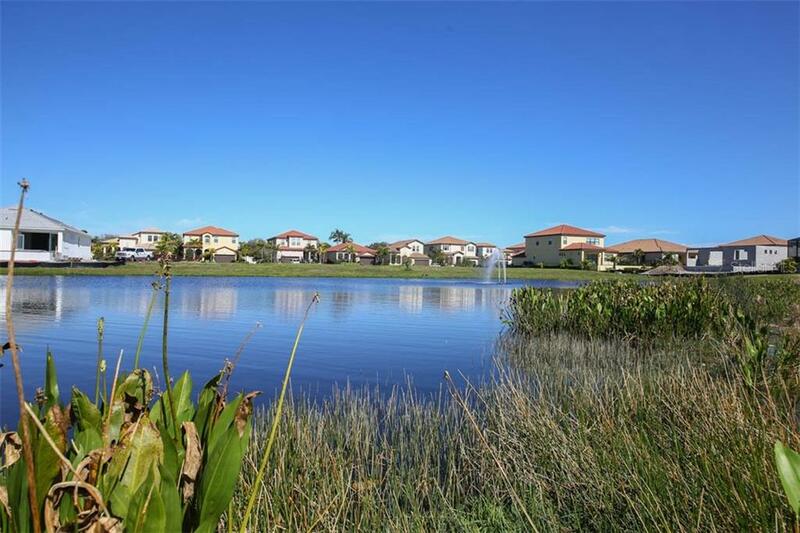 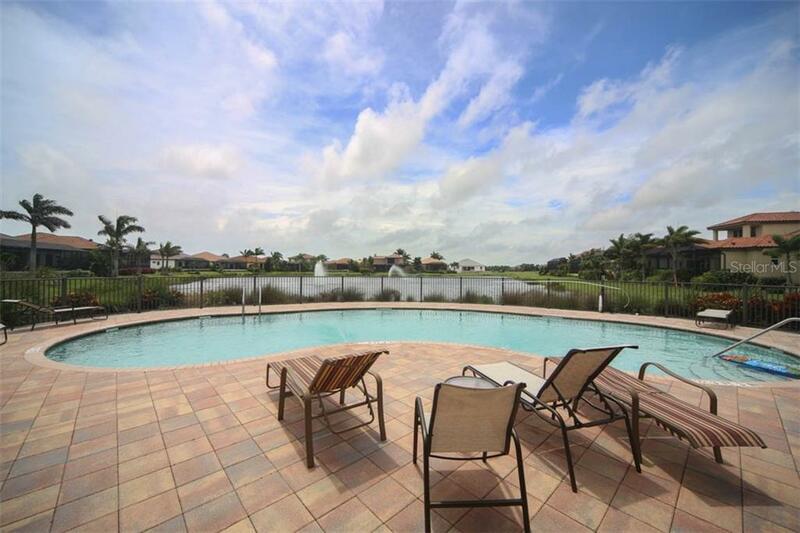 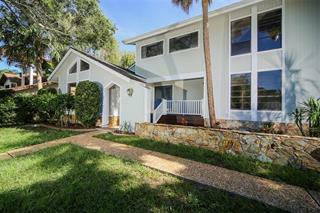 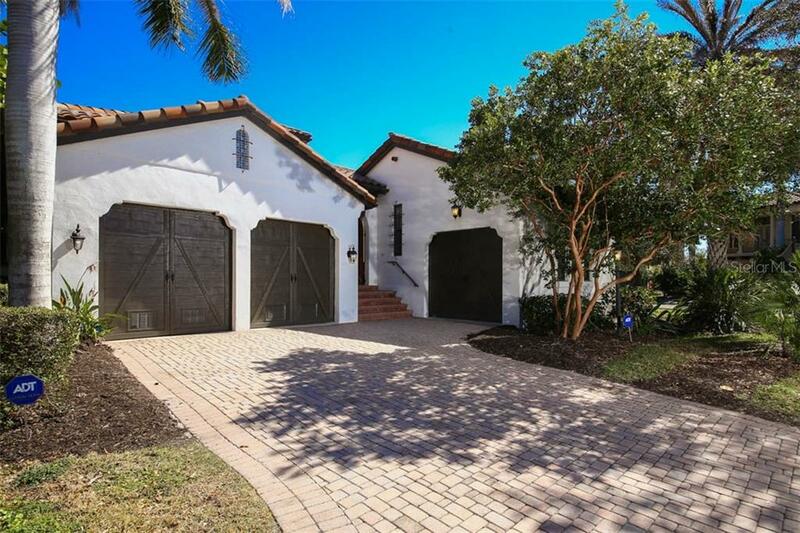 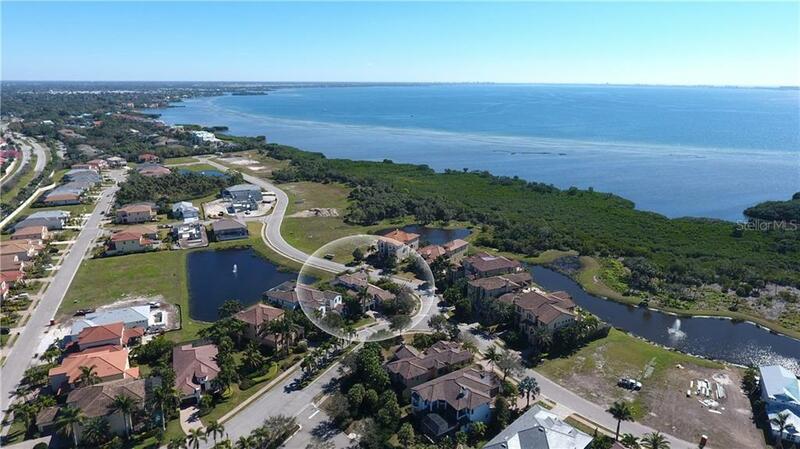 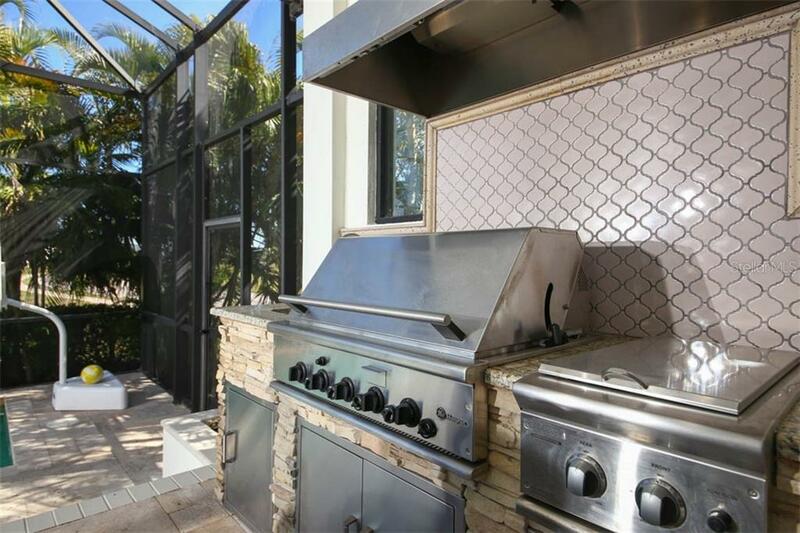 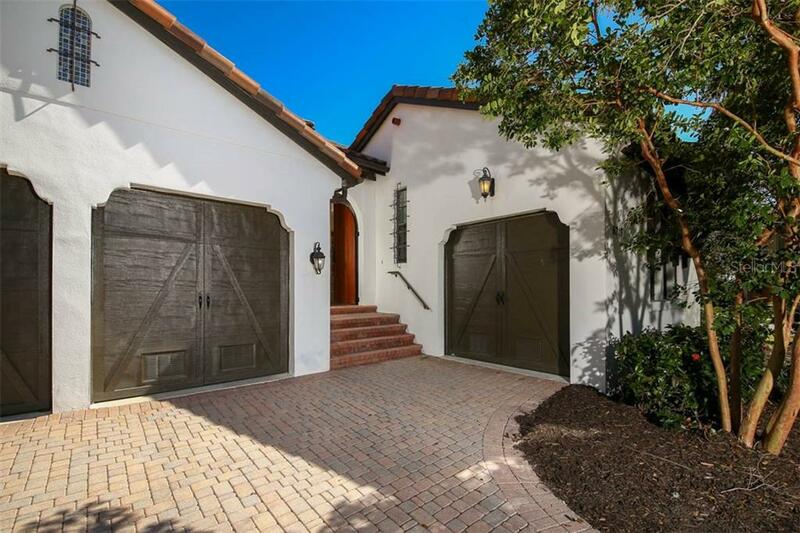 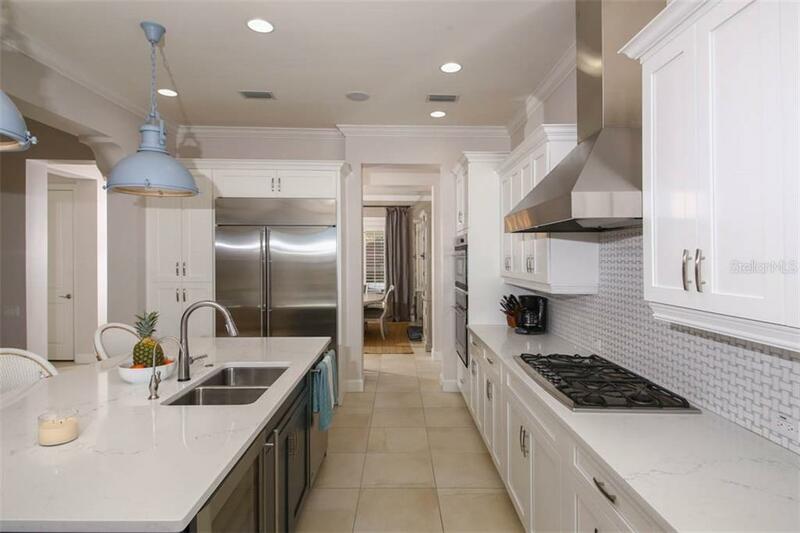 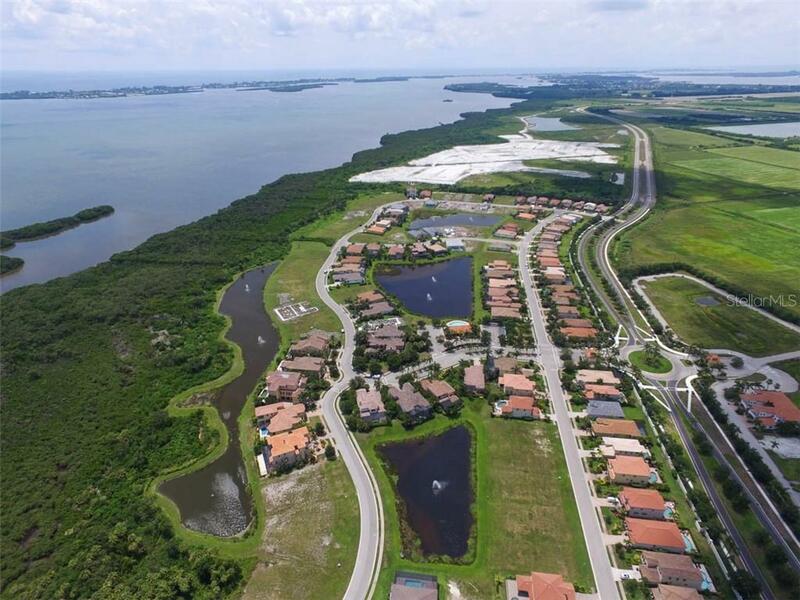 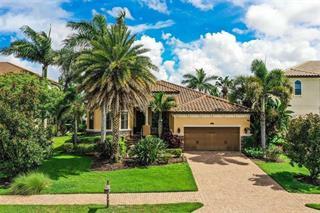 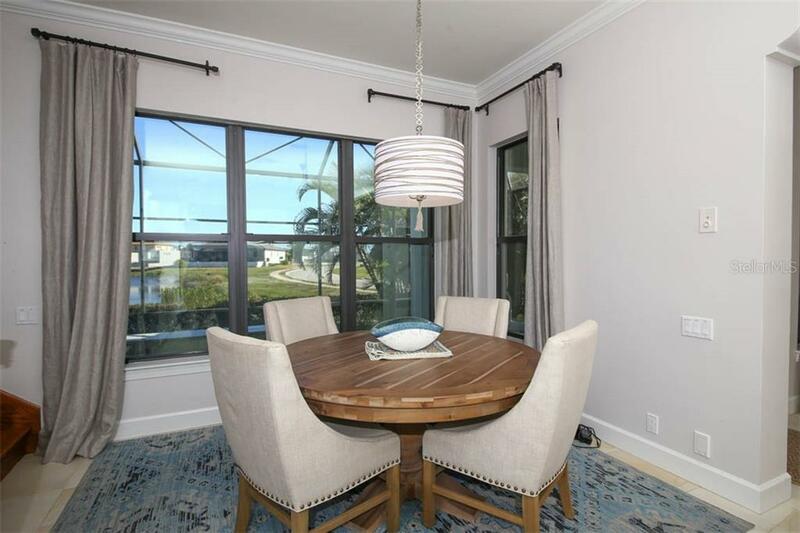 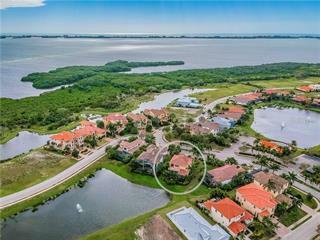 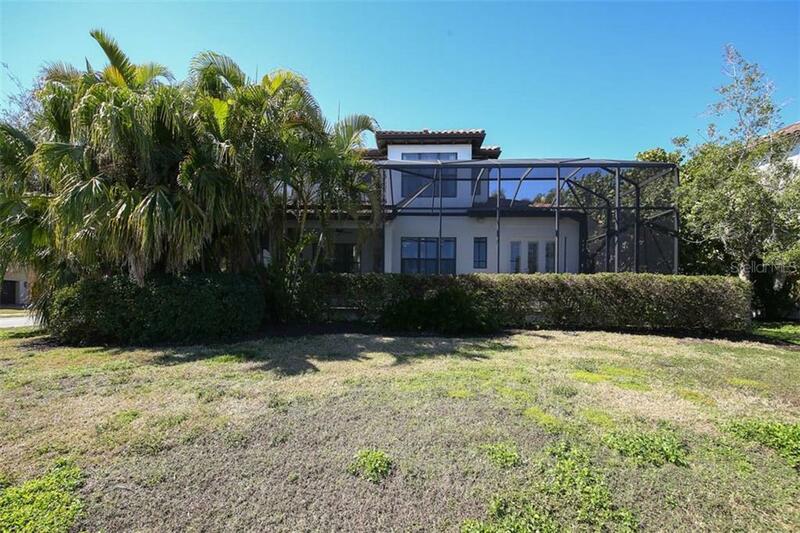 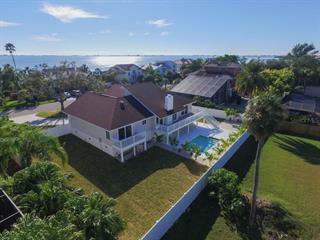 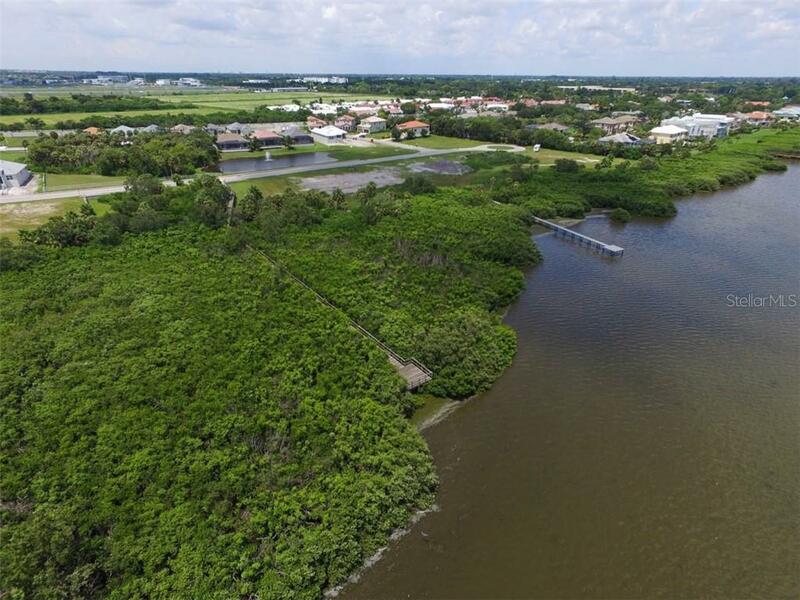 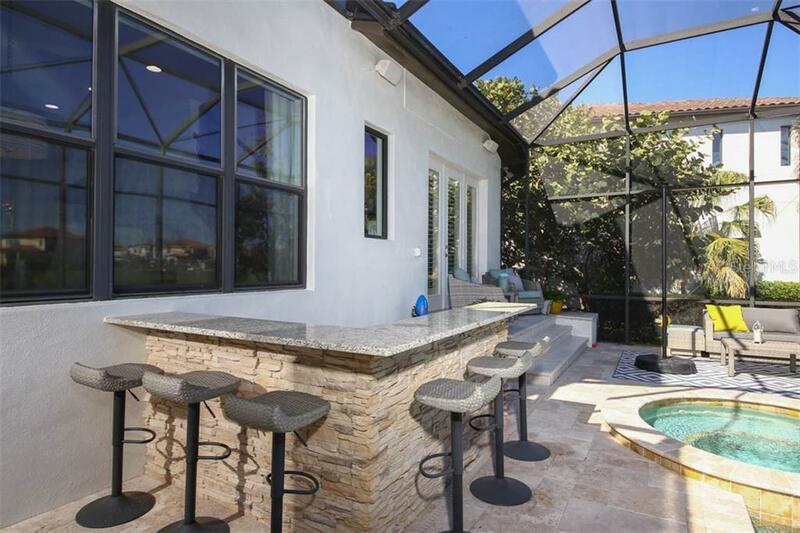 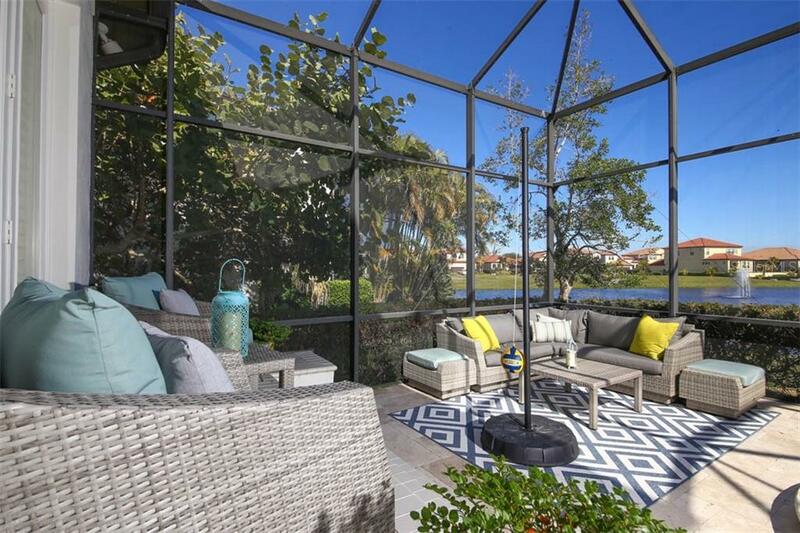 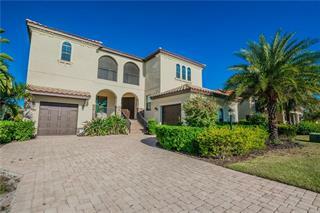 Close proximity to IMG Academy, IMG Golf Club, and short drive to Beaches and Shopping.